These two had quite the story to tell and the ceremony had a beautiful retelling of their days up to now and then beautiful vows and commitments to one another (and I mean each of them made commitments to one another...all 7 of them). 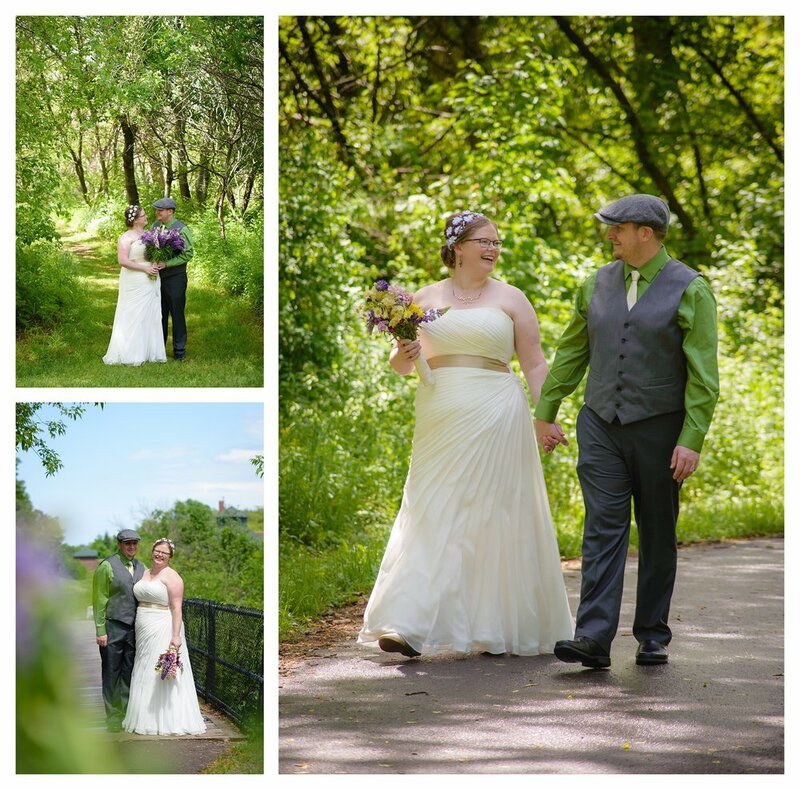 Adele and Jamie met on OKCUPID.com, emailed for a while and then finally met at the beautiful Houghton Falls Nature Reserve near Washburn. They might be the reason Houghton Falls now has a gate and a "curfew" as they stayed talking until midnight! Thankfully, there was a full moon to hike back through to their cars. *My husband and I have walked back by the light of our phones...it gets dark in the forest fast! Their second date was at Ashland's Ore Dock, and again they stayed until midnight. On June 1st, on their Houghton Anniversary, they took a picnic lunch out to Houghton Falls and Adele had a Ring Pop ready and asked Jamie to marry HER! :) He said yes! 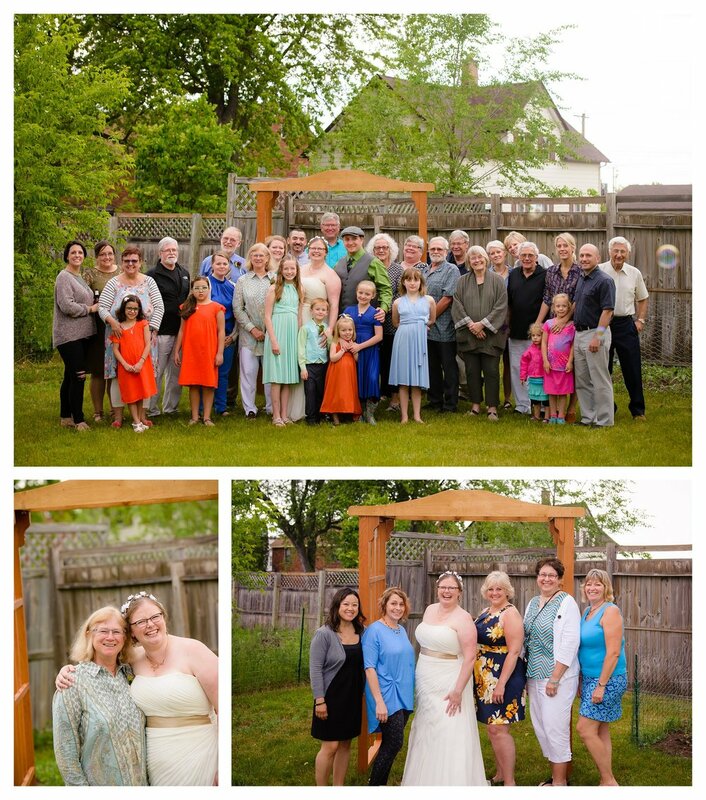 Read the comments with the photos that have them, as they include some super meaningful items and parts to the ceremony. Jamie is a chemist. A chemistry teacher in fact. So Adele, an OB nurse, wore as a surprise, the Oxytocin Molecule as her necklace - representing their love toward one another. From Silverwaves Jewelry in Bayfield, Wisconsin Jamie and Adele had individual necklaces made for each of their 5 children. Adele has 2 and Jamie has 3, now they have a full house of 7! Each necklace had 7 individual rings looped together to make one beautiful ring. 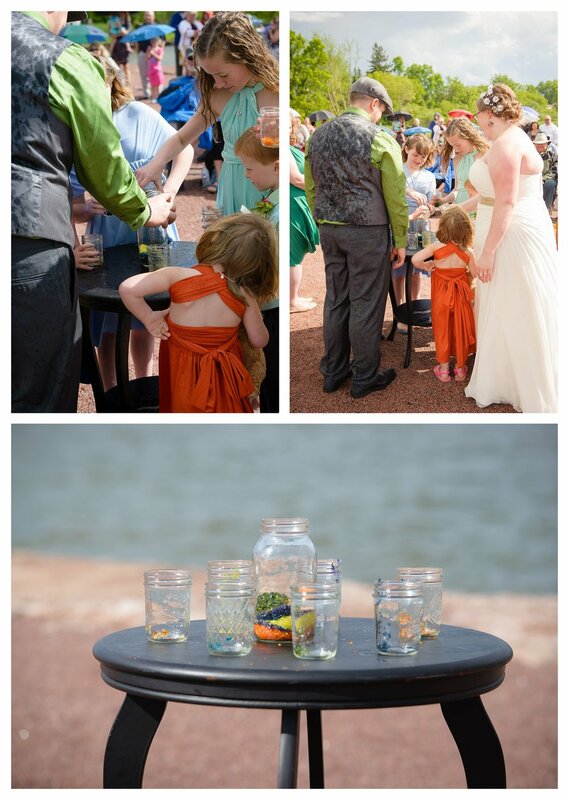 As you see the ceremony photos, you'll see them giving the necklaces to the children. 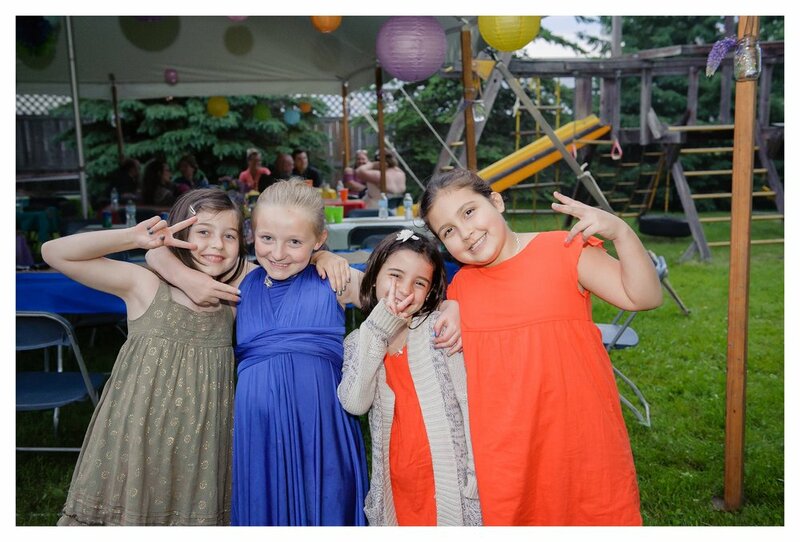 Each of the children got to choose the colors of their dress or suit for the wedding day going with a rainbow theme so when Adele was looking for earrings for the day she chose to order these beautiful Tree of Life earrings with branches for each with colors just like their outfits! How cool is that?! Before the ceremony, my assistant photographer Jamie from Bemused Photography in Bayfield and I, went to get set up at the Oredock where the ceremony was going to (hopefully!) take place, and THIS is what we saw! BUT in just a few minutes, it was all done and drifted on by. 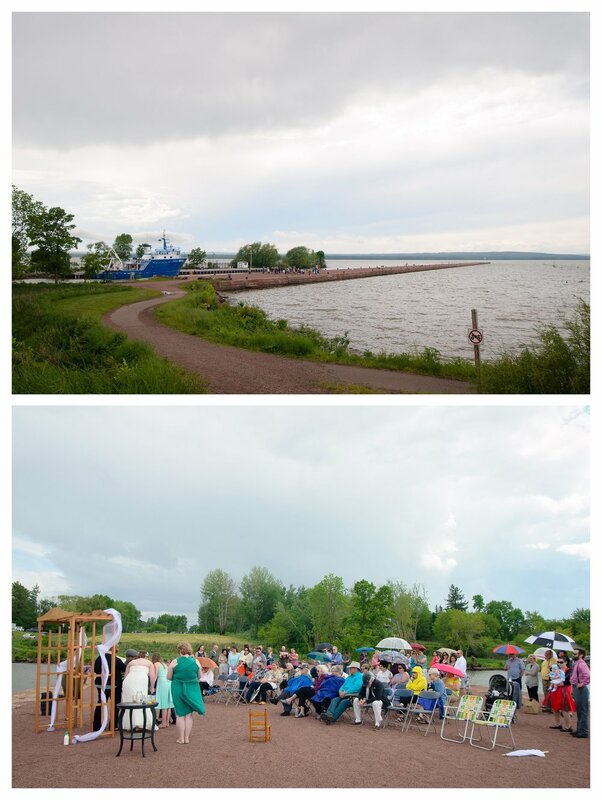 During the ceremony, now much cooler after the storm, there was a significant sprinkling during about 1/2 of the ceremony. 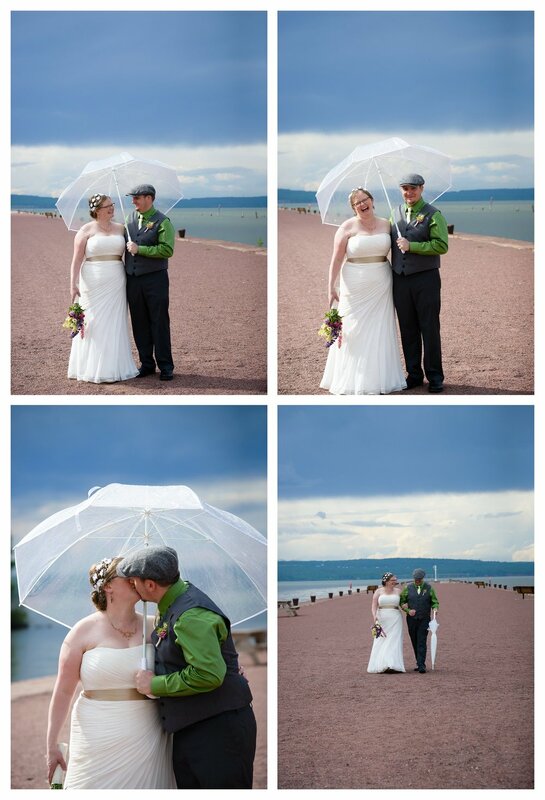 At times the rain was falling but there was sunshine directly on the bride and groom! 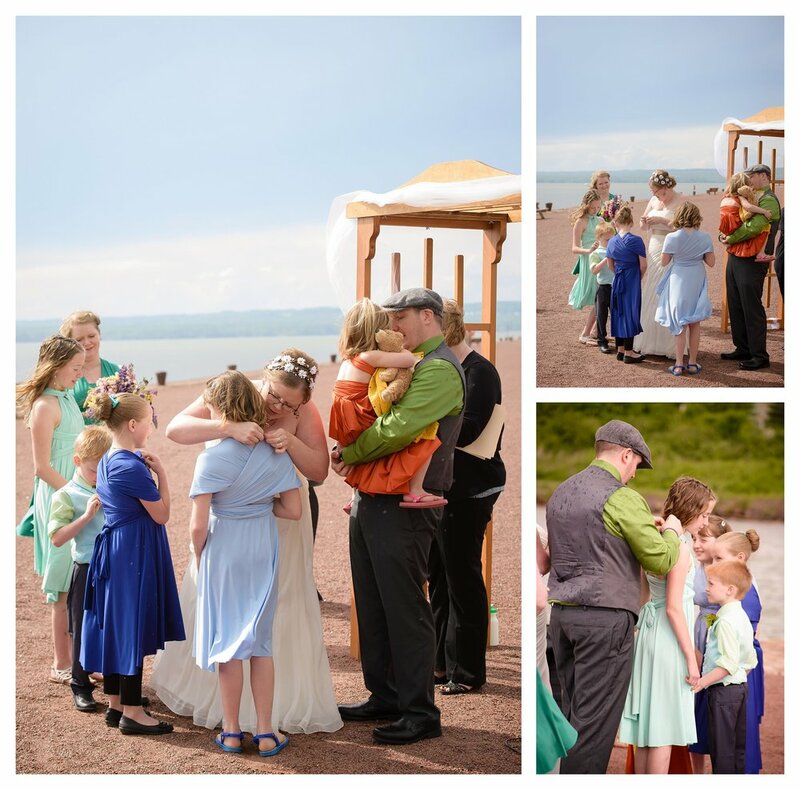 Super heroes and THE Hero for all of us intermingled during this Ashland, WI wedding.